The United Nations Children’s Fund (UNICEF) has said that Nigeria needs not less than $8 billion(N2.88 trillion) annual investment in water and sanitation to attain the Sustainable Development Goals (SDGs) by 2030, according to World Bank figures. Mr. Zaid Jurji, Chief of UNICEF’s Water, Sanitation and Hygiene, (WASH) Nigeria, who disclosed this lamented that less than 10 per cent of Nigerians have access to safe water, while 90 per cent have no access to safe drinking water. Decrying the impact of unsafe water and poor sanitation to every parts of human life, particularly, the development and survival of children, alerted that if Nigeria continues with the slow progress, the country may fail to achieve the SDG Goal 6 by 2030. Speaking on the overview of water, sanitation and Hygiene situation in Nigeria during a two-day ‘Media Dialogue, on Water, Sanitation and Hygiene (WASH) in Jos, Plateau State,’ Jurji called for more serious budgeting allocation to WASH, adding that if Nigeria should triple its investment to a minimum of 1.7 per cent from the current 0.6 per cent GDP, it would meet the SDG by 2030. He further explained that 88 per cent of diarrhea cases worldwide are linked to unsafe water, a scourge which remains second killer of children, adding that $1 dollar investment in water and sanitation will bring back $25 dollar benefits. Earlier in his opening remarks, Olumide Osanyinpeju, Deputy Director, Child Right Information Bureau, Federal Ministry of Information and Culture, Abuja, noted that Water, Sanitation and Hygiene is very important in the life of a child as the Sustainable Development Goal 6, SDG 6, clearly emphasized the importance of clean water and sanitation. “Water is essential for the survival and development of all children. Without water, children simply cannot stay alive or thrive in a healthy environment. Water resources, and the range of services they provide, strengthen poverty reduction, economic growth and environmental sustainability. Osanyinpeju further said that research has also shown that regular hand washing with soap can reduce the incidents of diarrhea, a deadly disease to children. He commended UNICEF for being in the forefront of ensuring access to safe drinking water supply, adequate sanitation and proper hygiene in Nigeria communities. On his part, Engr. David Wuyep, Plateau State Commissioner for Health, who declared the conference open, said UNICEF has continued to assist the State in providing adequate water for residents, adding that not less than two local governments have been given a borehole by UNICEF. 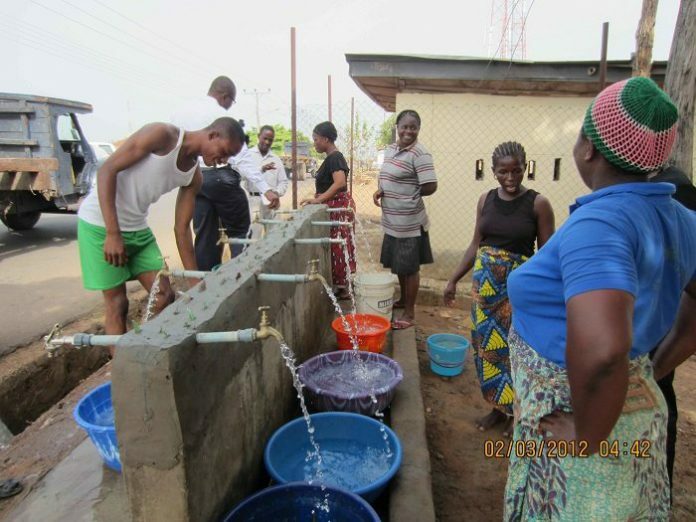 Wuyep restated State Government’s commitment to providing counterpart funding needed to improve water, sanitation and hygiene in the state.